Work experience in the NHS is a fantastic way for young people to gain insights into a particular career, a valuable way of increasing confidence through experience and a tool to enable young people decide what the right career is for them. ICHP are proud to be supporting new opportunities to work more closely with young people. Improving young people’s health, wellbeing and understanding of the NHS is a priority not only for their future, but the future of the NHS. 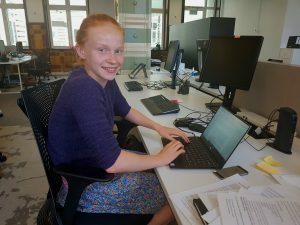 “When I found out that I had to do two weeks of work experience I decided I wanted to do it at a hospital. However, after hours of research, dozens of phone calls and multiple emails I was told that I would have to wait until I was 16. Therefore, I set about trying to find an alternative and that was when I was introduced to Imperial College Health Partners. Throughout my time at ICHP I have had some incredible experiences and learnt a plethora of new things. I have gained an insight into WSIC and the endless possibilities of incorporating primary and secondary care data in a dashboard. I have been introduced to public health and the idea that so much can be done to improve the health of a population without just improving the hospital care. I also gained an understanding of communications and the level of thought that goes behind every single tweet and email sent out. Not only that but I have had the opportunity to pore over data with the integrated care team. This has given me an understanding of the health of the population in North West London and what can be done in the future to improve this. Before work experience I only associated the NHS with doctors and nurses and my heart was set on going into medicine just like my mum. However, over the week I have spent at ICHP my eyes have been opened to the realm of different sectors within the NHS and the work that is done outside of the hospitals to improve the NHS and the health of the population. It has made me think about a possible career in public health and helped me to understand that is more to the NHS that first meets the eye. Thank you to you Megan for spending time with us an absolute pleasure!